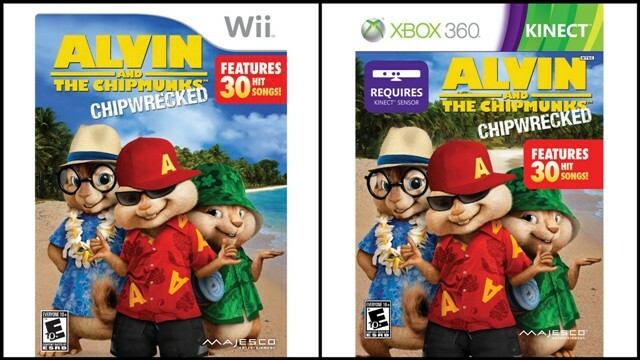 Party of 5 and counting: ALVIN AND THE CHIPMUNKS™: CHIPWRECKED VIDEO GAME NOW AVAILABLE ON KINECT FOR XBOX 360, Wii AND NINTENDO DS! ALVIN AND THE CHIPMUNKS™: CHIPWRECKED VIDEO GAME NOW AVAILABLE ON KINECT FOR XBOX 360, Wii AND NINTENDO DS! 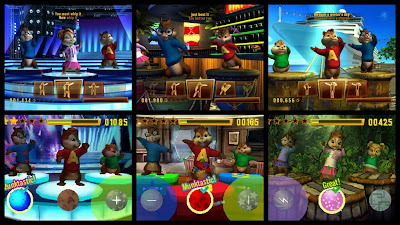 Alvin and the Chipmunks: Chipwrecked is a full-body motion-based dance experience on Kinect for Xbox 360 and Wii™ that is fun for all ages. 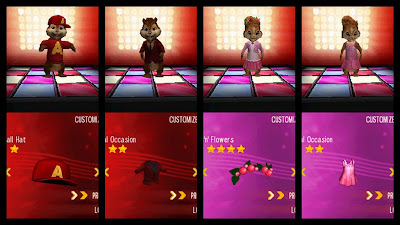 Players can choose to dance to multiple routines as their favorite ‘Munk (Alvin, Simon, and Theodore) or Chipette (Brittany, Eleanor, and Jeanette), while earning more points if they can dance on the beat. 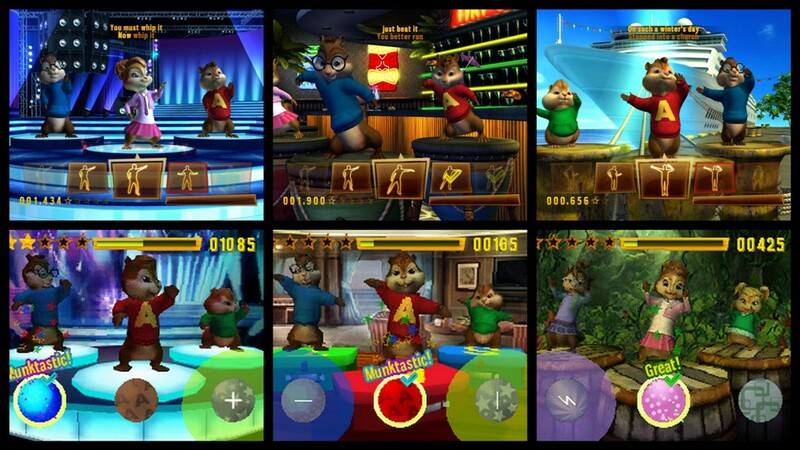 In addition, players who fill their “Munk Power” meter are then able to perform ultra-cool dance moves that electrify the crowd. The game is based on the forthcoming Alvin and the Chipmunks: Chipwrecked movie in theaters December 16th, which finds the trio vacationing aboard a luxury cruise liner until they become ‘chipwrecked’ on a remote island. The Alvin and the Chipmunks: Chipwrecked video game continues the story with an around-the-world journey that has the ‘Munks visiting six tropical locations inspired by the movie. 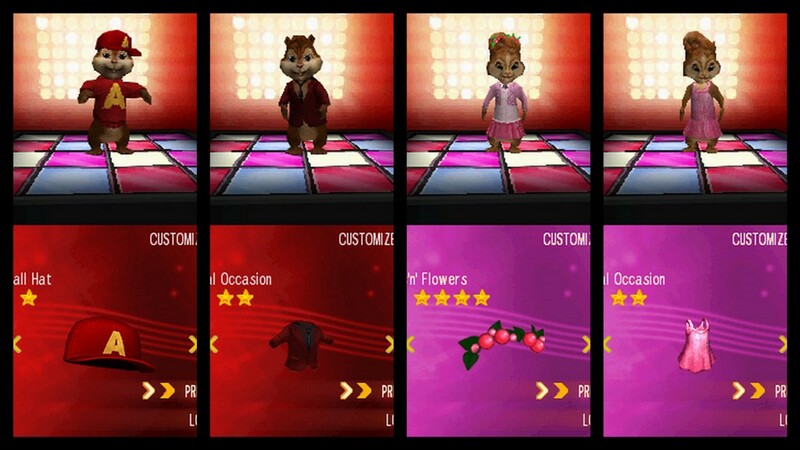 While dancing as the playable Chipmunks or The Chipettes, players perform more than 50 different dance moves to excite the crowd while rocking out to 30 of the greatest Chipmunk tunes that all generations can enjoy together. Developed by Behaviour Interactive, Alvin and the Chipmunks: Chipwrecked is rated E10+ and now available on Kinect for Xbox 360 for a suggested retail price of $39.99, and on Wii™ and Nintendo DS™ for a suggested retail price of $29.99.